Following Gaurav Kampani’s recent essay inInternational Security, another paper by the author was published by the Norwegian Institute for Defence Studies. This new paper is quite compelling and deserves a close look, especially where he notes two tendencies increasing deterrence instability between India and China. However, there may be a blind spot in Kampani’s analysis. 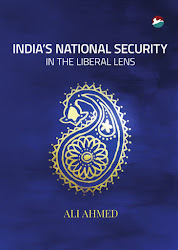 But let’s start with the first tendency noted by Kampani: As both militaries have entered nuclear strategic decision making – with the Indian military lagging behind by about a decade – there is a push to move from minimal to limited deterrence. This involves, in part, seeking to enhance deterrence by building in options for limited nuclear use. The second tendency is in the negative implications this carries for no-first use (NFU), which is currently the professed policy of both states. This was particularly evident in the now-defunct Indian debate on the expected revision of its nuclear doctrine. Taken together, the two beget a situation of instability described by Kampani as: “… limited options render deterrence more credible and are more likely to achieve intra-war deterrence … The net strategic effect of these operational changes will be the lowering of the bar for nuclear weapons use in the future.” Kampani rightly notes that there are mitigating structural and institutional features, namely large and strong militaries and balancing institutional pulls from political and scientific establishments, that make for stability. Kampani’s case is that while “there is reason for concern, the case for nuclear pessimism in the China–India nuclear dyad is overstated,” so can’t we, on account of that stability, leave well enough alone? To be sure, the two states have considerable depth in both territory and forces, thus precluding the ready or early resort to nuclear weapons. However, nationalism is growing stronger in the politics of both states. Chinese nationalism is being fanned by the nationalist turns in Japan, and this year India elected a nationalist government. The impact of nationalism on strategic rationality is to force everything towards the hard option. During crises or conflicts, there are also media-induced nationalist pulls and pressures magnifying this force. Of course, this force is further strengthened by both states being on the cusp of rising to the next echelon in power, with China poised to become a superpower and India a great power. The adverse effect of downward movement by either will be taken as impacting its standing. In India’s case this would include its regional salience in relation to Pakistan. Finally, while nationalism in both states can prove fatal, it is bad enough in just one as that would suffice to ensure a mirroring in the other. The net effect of this is the escalation of the several border incidents in the recent past between the two states, such as the most recent, which coincided with the Chinese premier’s visit to Delhi. Clearly, there is nothing positive to be found here. A nudge is more liable to end up as a push, and a push more liable to transform into a shove. Nationalism and the cultural need to save face at this stage will likely kick in with greater gusto. The side that perceives itself to be on the losing end can be expected to escalate to escape disadvantage. To be sure, escalation can very well occur. Indeed, directions in the military preparedness of both states betray as much. Even though there is only a border dispute between them, an incipient rivalry in the Indian Ocean is being played out. This horizontal escalation is building in scope. Coupled with the nationalist impulse in strategic thinking, vertical escalation is becoming a certainty where otherwise it would have remained a mere possibility. What will vertical escalation look like? Nationalism-inspired strategies will place a premium on territory. With forces available and mobile thanks to increased investment in infrastructure and aerial transport fleets, the rapid concentration of forces can be foreseen. This might potentially set the stage for de-escalation, since neither would be able to claim an easy victory. In fact, precedence does favor this in that China withdrew after its earlier forays into India and Vietnam, and India has restricted its actions against Pakistan in Kargil to that theater itself. However, nationalism, with its effects on strategy, is the wildcard, making it difficult to rule out escalation. Traditional nuclear strategists would claim that India currently lacks strategic deterrence, since its Agni series is not yet complete and the K series has not yet been tested from the nuclear submarine. 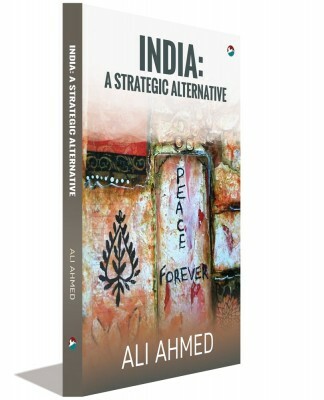 Even so, India will likely have enough deterrence elements to please such strategists by the end of the decade. In the interim, it is exercising minimal deterrence, the effect of which cannot be discounted, as China values its economic trajectory. However, this can, at best, only ensure deterrence stability at the upper reaches of city busting levels. 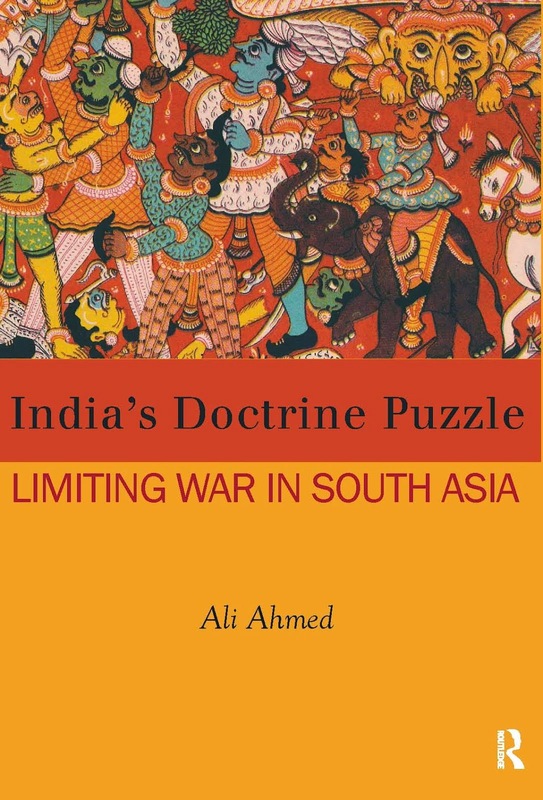 As Kampani notes in his warning of military pushes in both states towards the operational – instead of political – utility of nuclear weapons, there will also likely be military pushes in both states for operational level leverage with nuclear weapons. Kampani admits to both militaries being capable of nuclear use from demonstration shots to shots across the bow. The scenario here relies on a factor usually discounted in traditional strategic analyses, which presume strategic rationality and have internal political factors as a blind spot. Consequently, though Kampani is right that the “competition is unlikely to assume the unbridled nature of the former superpower rivalry,” that is not quite the real fear.